Is it really bad that I actually can’t I can’t remember the last time I abandoned a book because I just didn’t want to read it. I’m a mood-reader and I have books lying around for months before I get into them. And then I often gobble them up in a day. I have to REALLY want to read a book, or I just can’t. The last book I’m almost sure I won’t read is Midnight’s Children by Rushdie. It was just… weird. The last book that I haven’t read but will, is The Circle by Dave Eggers, because I’m just not in the mood for it right now. 🙂 I abandoned it in April. I have written a post about why I abhor the idea of a guilty pleasure book. I don’t like any over-serious romance books but none spring to mind because I don’t read many of those. I also strongly dislike God of Small Things by Arundathi Roy. I don’t love to hate any books although I do confess to twitching when I see someone read Nicholas Sparks. Oh yes. The answer to this popped up into my head the minute I read the question, so strong is my dislike of this book. 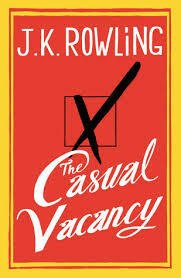 Story time: I read this book more than 4 years ago, and I was typing out a review of it for an erstwhile blog of mine. I didn’t mention the name or write a synopsis because I wanted to vent out (my rather strong) feelings first. While it was still being edited, a friend read the review, sans any particulars, and she honest to god recognised what book I meant just by reading how much it pissed me off. True story. This book is Almost Single by Advaita Kala and it is absurd and full of clichés and cringeworthy and I would gladly throw every last copy of it in to the sea. I used to reread books a lot as a kid, but I don’t want to talk about those. It’s more interesting to think of what book I’ve read the most as an adult, and I don’t mean my ‘guilty pleasure’ books. I think the book I’ve read most often as an adult is Bird by Bird by Anne Lamott. This is such a funny, kind book. It feels like a hug in book form. And it always inspires me to write, at least for a little while. This is one book I just can’t live without and that I’ve read so often it’s looking a bit tattered now even though I only got it a couple of years ago. This is an odd question. I have never thought of what free books I would hate to get before! Honestly, and this has happened to me once or twice, I would hate to receive any self-help book, especially if it were a self-help book that the person who is gifting it has read or has heard great things about because there is always a horrifying chance that they’ll keep asking if I read it and what I thought of it. -shudder- Yup that’s my nightmare scenario. Guys, if you must gift books because you know a reader, gift books that the person would actually enjoy. Please! I mentioned as an answer to an earlier question that I could not live without Bird by Bird. I stand by that. One of my recent loves is Americanah by Chimamanda Ngozi Adichie. I also need The Small Bachelor and Full Moon and Aunts Aren’t Gentlemen by Wodehouse. And finally, I think I will always want Equal Rites by Terry Pratchett. The book that that made me the angriest recently because it revealed the various discriminations and atrocities that have become internalised in India is A Fine Balance by Rohinton Mistry. It is a story of 4 people who lived during Indira Gandhi’s emergency in the 1970’s and it is the kind of book that is gut-wrenching and thought-provoking and indescribably beautiful. Everyone ever should read it. No joke. The book that made me cry most recently was Half of a Yellow Sun by Chimamanda Adichie, and I think that a book that had me sob heart-rending sobs, so much so that I had to put the book away, is A Thousand Splendid Suns by Khaled Hosseini. I like a lot of book covers but I don’t have strong negative feelings towards covers. 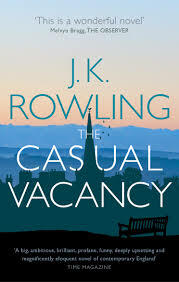 A cover that I dislike on a book that I love is the original hardcover edition of A Casual Vacancy. I like the new paperback edition sooo much more and I’ve been eyeing it for a while, but I haven’t bought it because there are a lot of new books that I have also been additionally eyeing.The book lover life, I tell you. Uff. Well, there you have it. My confessions/another excuse to talk about more books! This entry was posted in Books, Reading Habits, Reblogs, Viraltags on July 7, 2015 by Sin.